Michael Clemow is a sound artist who worked with Eyebeam on the Acoustic Infrastructure program in 2016. 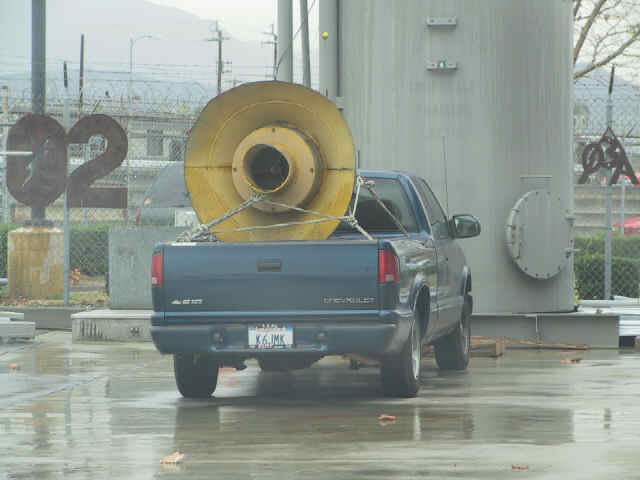 The Long-Range Acoustic Device (a “sound cannon”) was used by police against protestors in Ferguson, MO. Follow @eyebeamnyc on Instagram for more sound sites. It was my job to explain sound art to the people who run New York City’s PA systems. It’s harder than you think. The screens of Times Square run 24/7 and the light they emit can be seen from Earth’s orbit. Visual artists have access to this airtime for a few minutes each day, but nothing of the sort exists for sound artists. If adspace is controlled by the market, sound is often policed by the state. It turns out that, when it comes to audible media, Times Square is relatively quiet. I have to admit that, despite being a sound artist and sensitive to this kind of thing, this was, in fact, a surprise to me. Long story short, the MTA didn’t get back to my emails. So I began to investigate other options: the strange hybrid places called “privately owned public spaces” (POPS), but these spaces were also reluctant to share information about their PA systems. 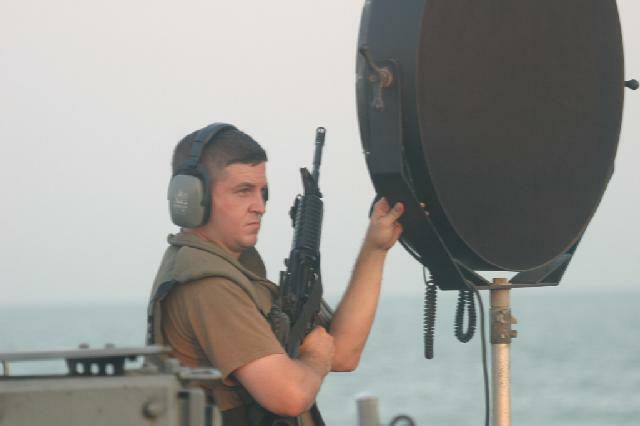 Crowd control, sirens, announcements, all are forms of sound as a weapon. 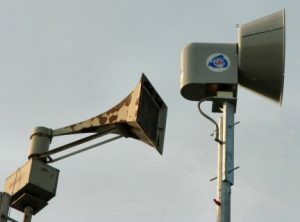 A clear example is the literally ear-piercing sound cannon used by the police in Ferguson, and military grade LRAD (Long Range Acoustic Devices). . 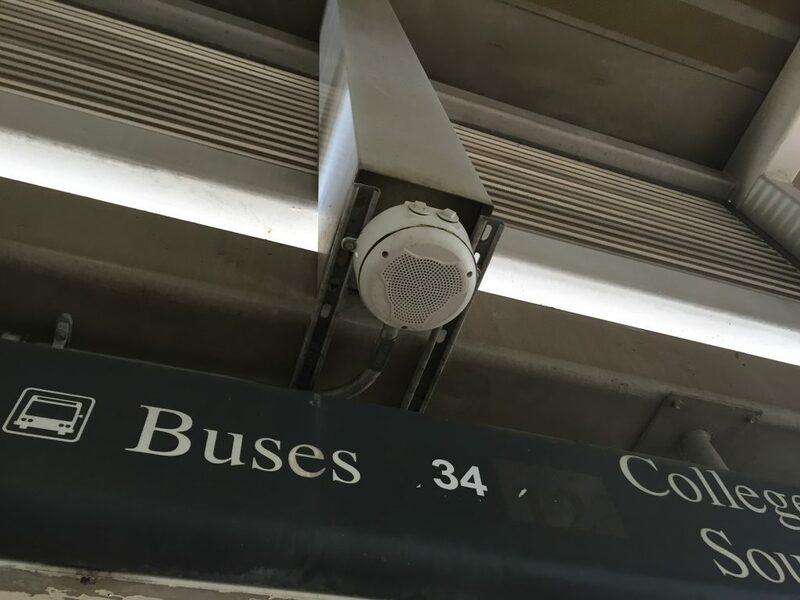 The thinking is that by allowing artwork to be broadcast from these PA systems in public space, owners run the risk of crying wolf — At a time when our nerves are on edge around the issue of so-called “security” in post 9/11 New York are we so afraid that we cannot share the soundspace with artists? As the recent hacking of a Vietnamese airport A/V system shows, these authorities must maintain complete, unerring control of such a system to retain the right to raise alarm. Michael Clemow is a sound artist and the producer of Acoustic Infrastructure, a public sound art exhibition and symposium on sonic interventions into PA systems in public spaces. Follow @eyebeamnyc on Instagram to see our running archive of sound sites, or read the special issue of Continent journal about Acoustic Infrastructures.